Joseph Mell, Actor: I Was a Teenage Werewolf. 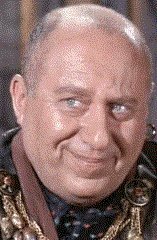 Joseph Mell was born on June 23, 1915 in Chicago, Illinois, USA as Joseph Mellovitz. He was an actor, known for I Was a Teenage Werewolf (1957), City of Fear (1959) and The Book of Acts Series (1957). He died on August 31, 1977 in Los Angeles, California, USA.